What To Do When You Are Being Evicted With Nowhere To Go? Do You Need Help With Rent? What Are The Grounds For Eviction? Do You Need Help Paying Rent ASAP? If you are behind on rent and are about to be evicted, this article is for you. The grace period is over and the landlord is going to start the eviction process. You know it won’t be pretty. If you are early in the eviction process, you have many more options available to you; compared with the very last day before the sheriff (or constable) shows up at your door to change your locks. This list below is meant to be exhaustive. I want this page to show every way possible to you help pay rent ASAP. No matter how rare a method might be. So, if you have more ideas, make a comment and we’ll add it to this list. Let’s Take It From The Top to Give You Help Paying Rent ASAP…. 1. Ask a friend or family member for a temporary loan – This works especially well when you are between jobs and a new job is just on the horizon. Sometimes the close family members know that if they don’t lend you (give you) some quick money, you’ll be living with them soon. 2. Ask Your Church – If you regularly attend a church, many times they will have programs in place to help the poor and needy. Many times they can help with more than just rent. Things like food and electricity as well. Many times they will request your services in the form of work to help the community. 3. Payday loan places – The neighborhood payday loan shop doesn’t give great interest rates, but they help with being evicted. Always show for the lowest interest rate and best terms. 4. Car Title Loan from a Payday Loan place – These are newer types of loans for people that have equity in their car. You can tap that equity using this type of loan. 5. Sell your Car – This works if you know you have money coming shortly. Just about any used car lot will give you something for your car. Usually the wholesale bluebook value. And with most cars this amount is usually plenty when you need help to pay rent ASAP. 6. Online Personal Loan – There are plenty of websites that will give you a loan. Even if you have bad credit. Most of the time, they will just need you to have an income source or government benefits. 7. Sell some stuff online – This works well when you have a partial rent payment, but just not ALL of it. For about $200-$500 this could work. Think Ebay, Craigslist, auction sites, Amazon. 8. Sell some stuff offline – same as online, but you can liquidate some larger items like a couch or other larger things that are harder to ship. As a side note – liquidation of large items would be helpful during an eviction, just in case you can’t stop the eviction with rent payment. It’s less large items to move and store. Thus reducing the size of the storage unit, if you need one. 9. Use a Pawn Shop – pawn shops will give you money for your stuff now, and when you have the money in a few weeks or months you can buy it back with interest. The worst case scenario is you get money for your stuff and they sell it later. Most items in pawn shops sit on the shelves to be sold but aren’t. So, there is even longer time frames to possibly reclaim your item. Good for jewelry, video games, and tools. 10. (If female) sell some extra clothing on consignment – sometimes people have a whole closet full of clothes they don’t wear. Consign it and make some money. Or sometimes you can outrightly sell them. 11. Online Crowdfunded Loan – There are places online today that anybody can get a loan, regardless of job or credit history. The interest rates would be higher, but people will fund those loans. 12. Business loan – If you have a small business of just about any type, there are lots of website offering large and small loans for businesses. 13. Grants – there are lots of grants available from the government and private organizations to help with homelessness. Apply to them. 14. Seek Eviction Assistance – In some US States and big cities like New York City, San Francisco and Denver… there are housing and eviction assistance programs to stop homelessness. Apply to them. Note, there are not too many of these programs across the USA. Consequently big cities only. 15. Odd jobs – If you have some neighbors that need some lawns mowed, snow shoveled, fence or deck power washed, dog walked or “picked up behind”, kids tutored, kids babysat, dogs pet-sat, homemade dinners cooked, houses cleaned, fences painted, wood chopped, trees trimmed, or broken items fixed, go for it. Today, just about anybody can use the simple tools to do those jobs. Furthermore these types of odd jobs sometimes grow into small businesses. How long is the “honey-do list” for some of the older people or widows in your area? 16. Get an immediate part time job – There are plenty of businesses that will hire just about any warm body within a few days. First of all they are low pay, but they do pay. Most are unskilled labor jobs. You can always look for better paid work a little later. 17. Door to Door sales (or Bird Dogging Leads) – There are lots of businesses like pest control, solar, lawn care/snow removal, internet SEO marketing, that need people to go door to door (or business to business) to sell their services. If you are an enterprising individual this may be possible for you. 18. Sell your pet – Sometimes there are small dogs or cats with tenants in rental property. It is rare. But, sometimes they are worth a few hundred dollars. 19. Use Your Sport Skill – (Not for everyone) I am no promoter of gambling here, but if you are good at pool, golf, basketball, you could put some money on your own skillful play. I do not recommend gambling the rent money on professional gambling games. Bad idea. The house always wins. 20. Beg – (Not for everyone) I have seen many people begging in front of places with foot traffic or car traffic. It’s not pretty, but I hear they do make money doing it. There are even professional beggars. 21. Street Musician, Artist, etc – (Not for everyone) Not many have the skill for this, but if you do, don’t overlook it. People will throw money into your hat. 22. Street Service – (Not for everyone) I have all seen people on street corners washing car windows for tips between the stop lights. It is possible if you have the personality for it. 23. Have a car wash – I have seen people have a fundraising car wash in a parking lot. You may need just a few people to work this project, but they do make money. 24. Win Radio Station Giveaways – (whacky one) Usually this is a 3 step process. First get multiple radio stations in your area monitored for prizes. Second setup your phones to call-inbound and win prizes at the right time. Then sell those prizes for cash in the next few days. 25. Online Gig sites – These sites are live with hundreds of thousands of people per day looking through them to find workers. Hence, many need American workers that work cheap. Just post a bunch of different types of jobs you could do. Just look on those sites at some of the other profiles. Be attentive and you’ll make sales. 26. Online job sites – These sites also have lots of people looking for workers. Also they post the jobs people need done. Just apply to lots of jobs and work cheap as an American. You’ll get picked up. 27. Free or Cheap to Sales – There are lots of people giving away free stuff on Craigslist or Classified Ad sites in your area that you could pick up and immediately sell on the same sites or on different sites for profit. Also, a lot of stuff can be bought cheap and resold. Especially if the item is slightly broken and you could fix it up. This is a side job for many people in the USA right now. 28. County Court Scout – If you know what to do at the county court, there are always lawyers and legal networks across the country that need local people to “look up today’s records”. It’s just a warm body in the local area,…if you know what your doing. 29. Take an immediate type job in another city and move quickly – Many times if you broaden our geography a bit, you can find an immediate job. Then just move and leave the rental unit to your landlord. Thus the need to immediately pay rent would be gone. 30. Immediately move to a smaller cheaper rental unit– Sometimes if rent is due and its too high, it puts a strain on the budget. Maybe there is money coming in, but just not enough. That is a perfect time to just move to a smaller cheaper rental unit. Thus solving the need to immediately pay rent. I have seen the cheapest rent possible being paid at just a few hundred a month by living in a motorhome or travel trailer at a park. If you are by yourself without a family, and the weather is bearable, that is not a bad cheap shelter for a few weeks or months until you get back on your feet. 31. Fight the eviction – if you have a rental unit that is not properly cared for and you happen to be withholding rent (which is legal in many states) for the purpose of getting your landlord to fix the place up, the landlord cannot evict you for non-payment of rent. However, they could evict you for some other reason. 32. 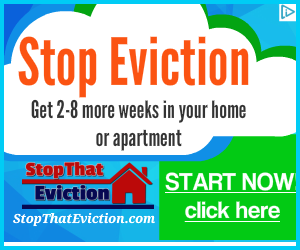 Finally Seek help from a Stop-Eviction Service – They are centered in big cities in the USA. Some are nationwide serving all 50 States. These services will slow-down and bog-down the court eviction process to buy you more time. Use them to catch up on back rent OR help you have more time to move out smoothly. When a man or woman is faced with a hard time in their life, it’s time to get tough and go to work to solve the problem. Have faith. When the going gets tough, the tough get going. You can do this. Jasmine Allen - 14 year legal assistant. I am passionate about the topic of eviction. I like reading and enjoy taking long strolls with my husband in the park near our home. Are You Facing Eviction And Need Help Paying Rent? 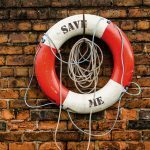 Do You Need Emergency Help With Rent? Do You Need Help Paying Rent Before You Get Evicted? NEXT Next post: Do You Need Help Paying Rent Before You Get Evicted? Evictiony.com is dedicated to helping tenants stop their eviction and find help paying rent. It is estimated that 1:2 homeless people became homeless because of an eviction. We want to put a stop to that. This site was born out of the need for community leaders on the eviction epidemic. This website does not offer any kind of specific professional advice including but not limited to: legal advice, accounting advice, financial advice, medical advice, or any other type of specific professional advice. If you seek professional advice please see a competent licensed professional in your area. If you seek specific legal advice, please contact us and we can help you obtain legal advice in your area.